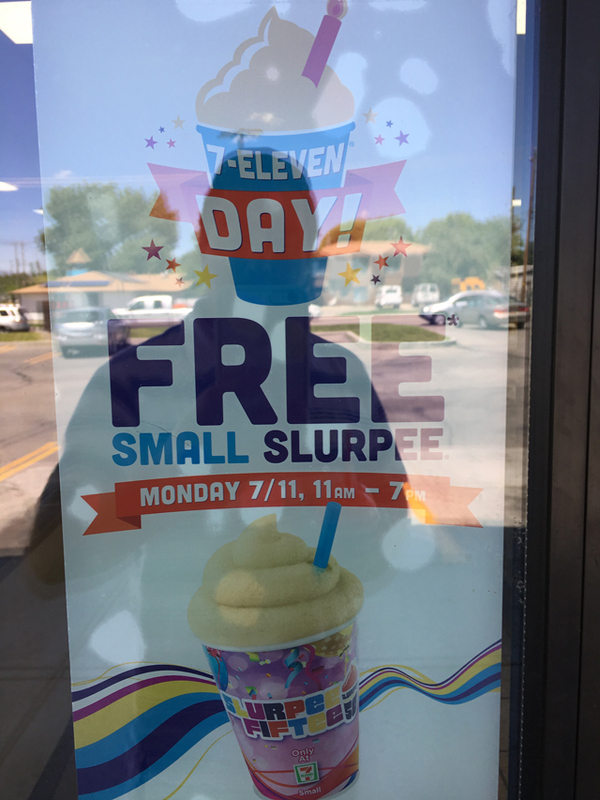 It’s that time of year [or at least it was a week ago Monday] for 7-Eleven Day, which happened Monday July 11th. 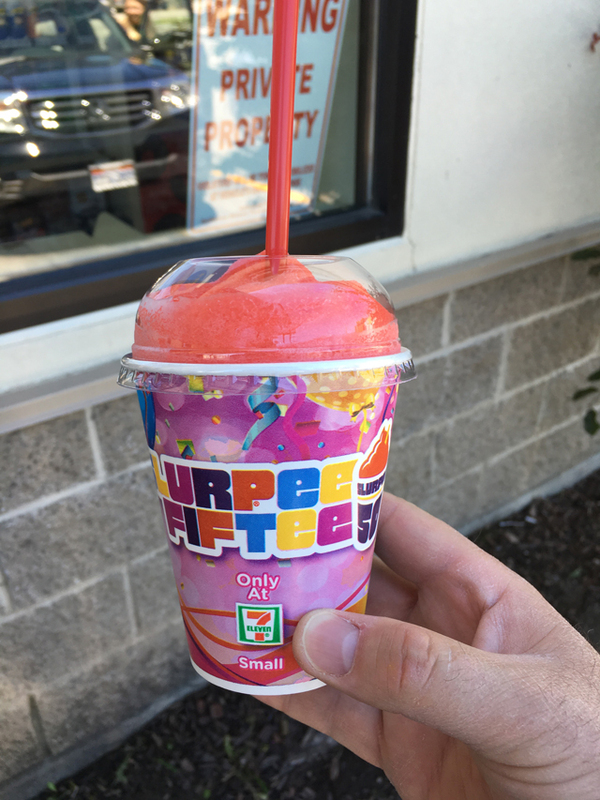 And in a dual celebration, it’s also the 50th anniversary of the Slurpee. 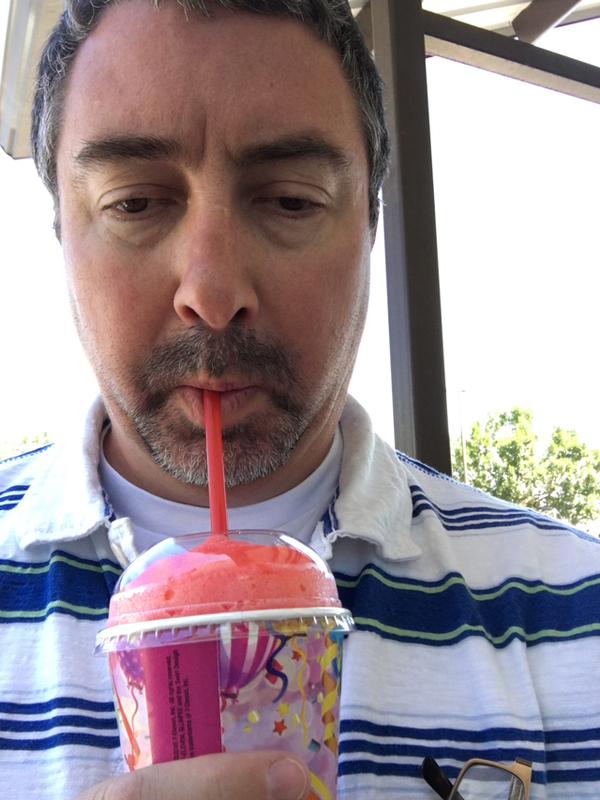 I took a drive over to one of the many 7-Eleven markets that are near my home and got me a Cherry/Birthday Cake Slurpee. This year, they were serving them in the small 12 oz cups instead of the smaller but aptly named 7.11 oz cups. I almost always get a Cherry with some other flavor. The flavor combo of Cherry and Birthday Cake was actually really good. Hope you got your Slurpee this year. See you back here in 2017. While I did not get one on Free Slurpee Day or even during the subsequent week, I did stop in for one on the 19th. I was dead tired and in desperate need of a sugar rush for my commute home so I tried the mango one. I really liked it! I will have to try that Mango flavor sometime.